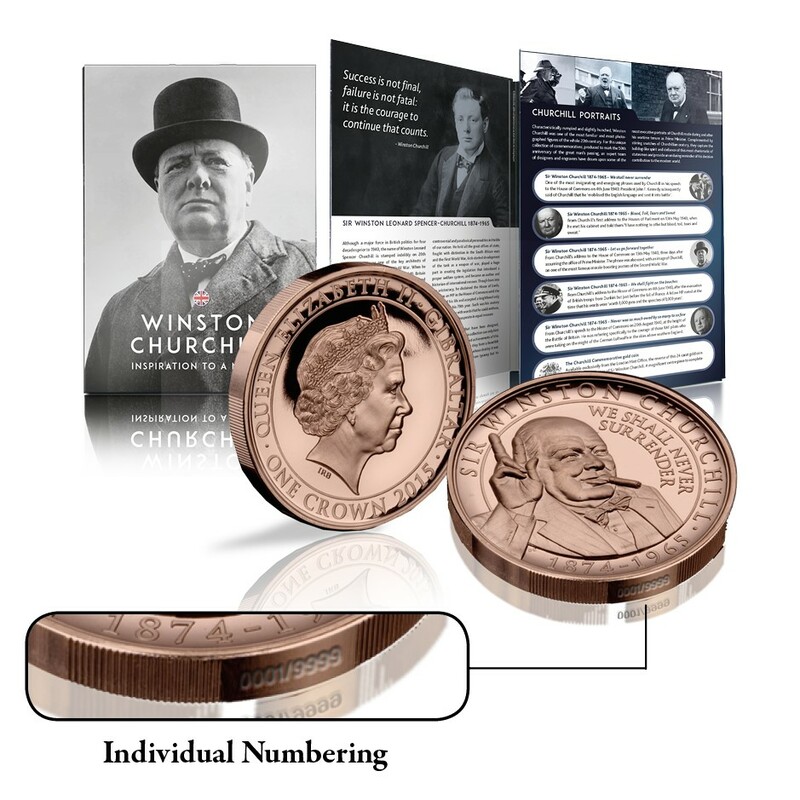 Thank you for your interest in the official Sir Winston Churchill Commemorative Coin. ...by having it beautifully layered in Rose Gold and uniquely numbered for just £9.95. Your individual number will be laser etched on the edge, making your coin absolutely unique. Just like the great Sir Winston Churchill himself.